Based on both recall notices and ingredient lists, it appears Naked Juice (which is owned by PepsiCo) is behind Trader Joe's mango smoothie and possibly other beverages, including its green juice smoothie. At some point, Conagra supplied food to Trader Joe's; a 2016 Conagra recall resulted in organic sweet corn being pulled from TJ's shelves. Snack Factory's Pretzel Crisps have similar ingredients and a near-identical look and taste to TJ's Pretzel Slims, but the Snack Factory version costs nearly $2 more per bag. And Snack Factory's dark chocolate-covered pretzels are identical to the TJ's version. 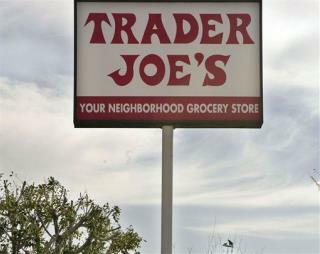 Almost all of the products in Eater's comparison cost less at Trader Joe's. The one exception: TJ's organic animal crackers, which appear to be identical to Stauffer's animal crackers other than the fact that they're lemon-flavored. But, possibly because of the organic label, the TJ's version costs more. Stacy's Simply Naked Pita Chips (which is owned by Frito-Lay, a subsidiary of PepsiCo) are identical to TJ's sea-salt pita chips. They are feeling the heat with Amazon's purchase of Whole Foods. When I say "heat" - I mean market prices. So either pay a Dutch company 20 dollars for a foreign candy bar that doesn't have all the crap - or 10 dollars from a US company that makes "healthy" chocolate bars.